Burlington is the hub of Skagit County due to its central location between I-5 and Highway 20. 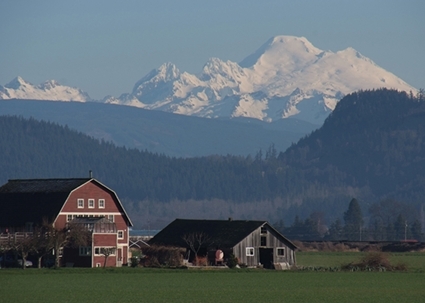 It is home to approximately 8,500 residents and is the fourth largest city in Skagit County. Burlington has excellent recreation opportunities with its eight parks sure to provide outdoor exercise, entertainment, and relaxation. Skagit River Park, the city's largest, boasts 22 soccer fields and eight baseball diamonds. The Avalon Golf Course is located just north of Burlington and features 27 holes. Also nearby is Skagit Golf & Country Club, the County's singular members-only club which is nestled in a beautiful wooded residential area. Burlington also offers a variety of entertainment opportunities. The Skagit Valley Casino Resort which provides nightlife, gaming, and entertainment. The Heritage Flight Museum features many historic military aircraft and puts on flight shows several times per year. The local AMC Lowes Theatre offers 14 screens of new movie releases. Skagit Speedway is open for race watchers April through September with a family-friendly area as well as a beer garden. The Children's Museum of Skagit County provides year-round indoor learning and play opportunities, and Skagit Skate, the county's only indoor roller skating rink is also great family-friendly fun. Burlington includes the communities of Alger, Bay View, Blanchard, Bow, Edison, Samish Island, and Padilla Bay.